Helping people gain that level of clarity and self-confidence is my “crack”…that is why I do what I do, and I LOVE every second of it! When I’m not coaching, you can find my writing, doing my “Surrounded by Idiots Radio Podcast”, getting in a solid workout, hanging with friends or family while ingesting copious amounts of vino or researching and developing new programs. So, if I still have your attention and you’ve got a little fire stirring in your bathing suit area, then, send me an email and we can do some good work together. Hey, How 'bout a Freebie Giveaway Just for You? 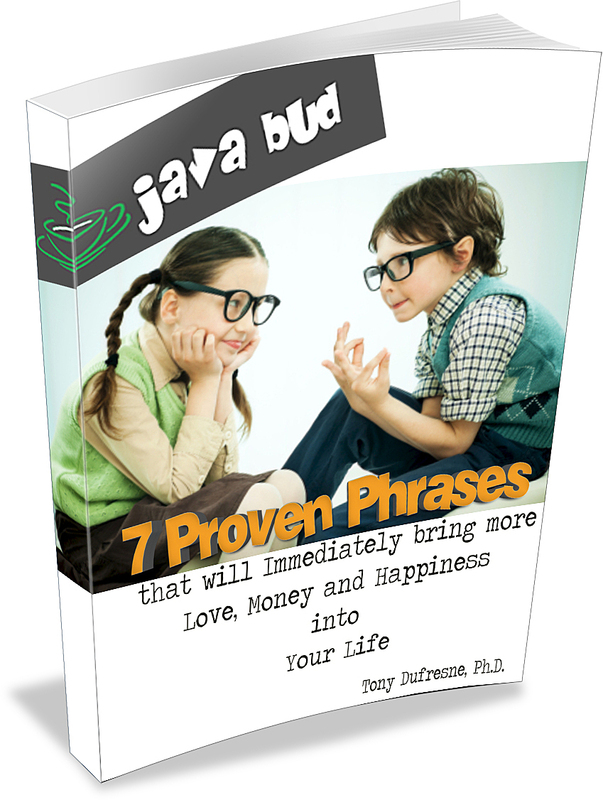 I've created a quick-read guide for genius thinkers, like yourself, where I go over "7 Proven Phrases that will Immediately Bring More Love, Scratch and Giddy Joy into Your Magniflicent (I think that's a word) Life! YES...I will click here for my FREE Shizz!